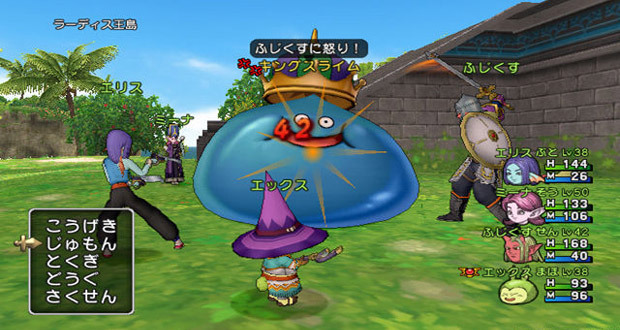 Fresh from Japan's Nintendo Direct is this video of nearly 40 solid minutes of Dragon Quest X video. Those curious about the upcoming Wii MMO (releasing in Japan on August 2nd) will find plenty to check out in this presentation as it walks you through everything -- character creation, interactions, the world and actual gameplay. Of course, it's in Japanese. But while you may not understand everything you see and hear, it's still a really nice look at the game. Hit 3:20 for character selection and creation. If you're looking for how battles work, hit the 14:25 mark and keep watching. Jump to about 34:50 for some nice cutscene action -- I can't wait until DQ games look exactly like this.